Bref description of the process supplied by Dr Simon Rees. Hologram created by Prof Martin Richardson. I helped out with steps 4 & 5. 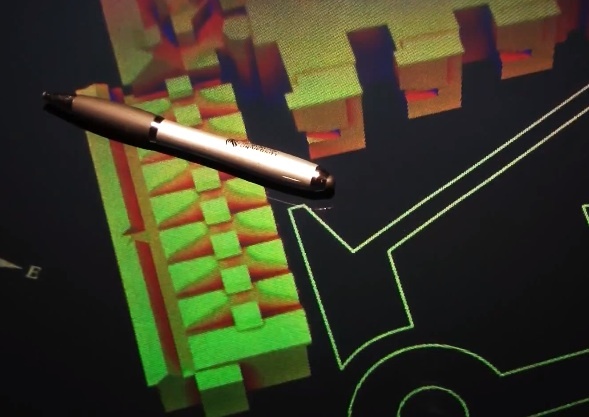 In this approach, a surface mesh is constructed around a digital terrain/building model. The mesh is used to define the points on the surface (and the associated normals) at which the Radiance (rtrace) calculation is made. The mesh data is converted into a set of mesh polygons and list of points for Radiance input. The list of irradiances calculated by Radiance is then recombined with the mesh data to become a visualization data set. 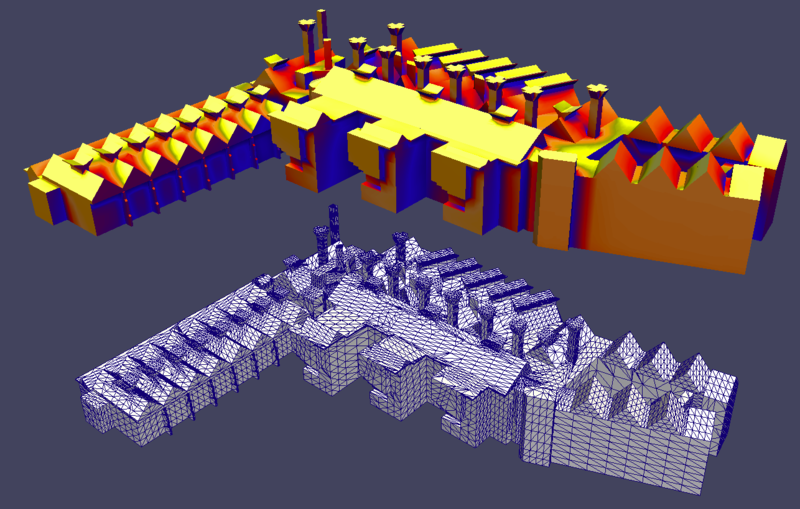 A 3D interactive visualization tool is used to interact with the model and add false coloring. Output can be 2D images or other 3D data formats that include false colour data. Open-source software: Blender, OpenFoam, Radiance, Paraview, Python. 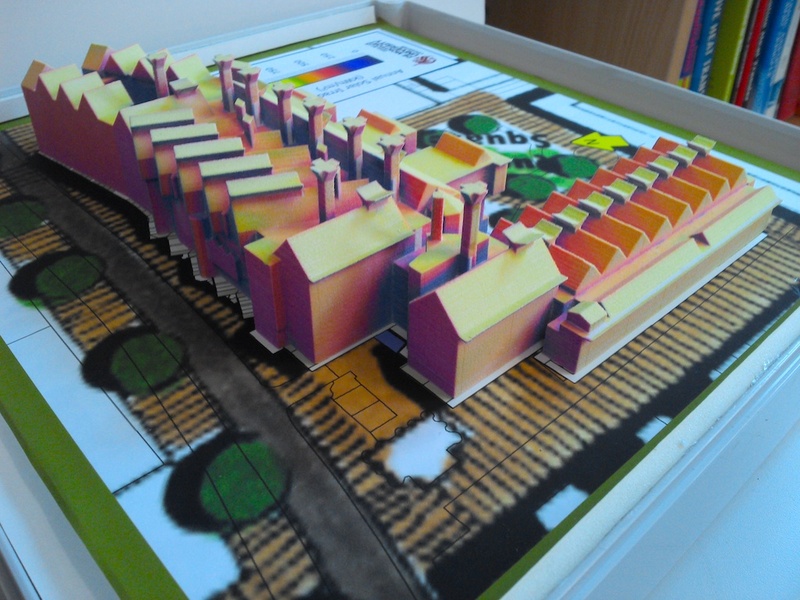 Photo of 3D print - the image colour saturation was boosted to make up for the slightly washed-out printer ink. A digital hologram was made directly from the data output in Step 9.